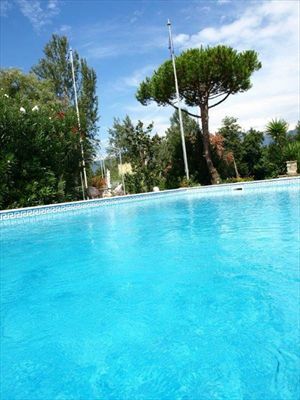 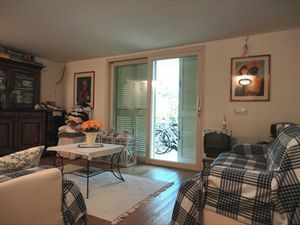 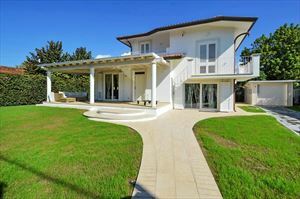 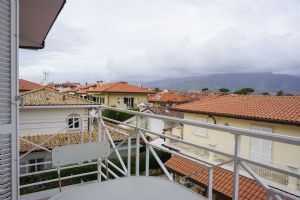 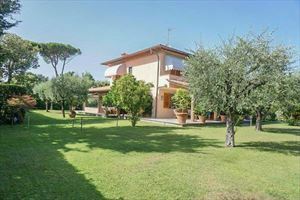 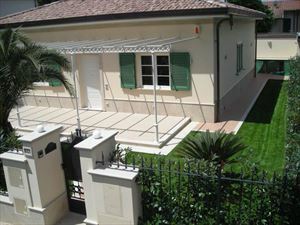 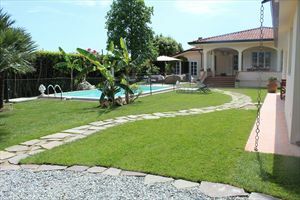 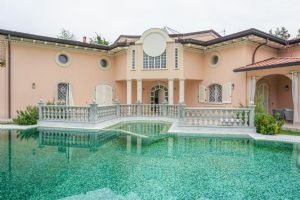 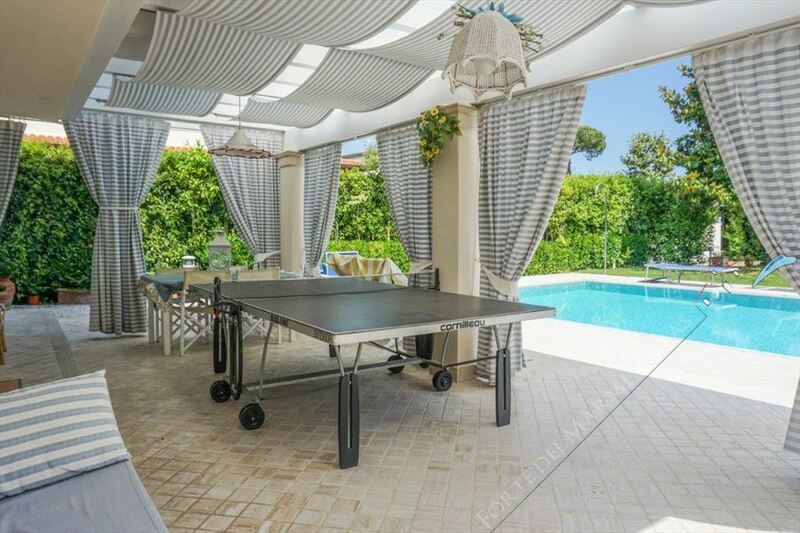 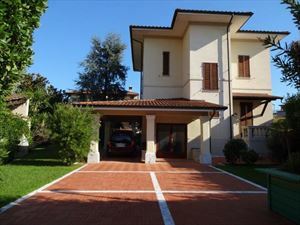 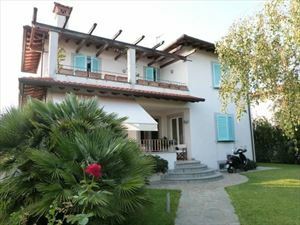 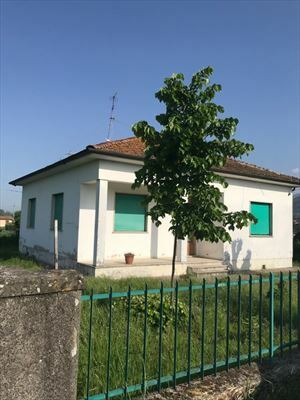 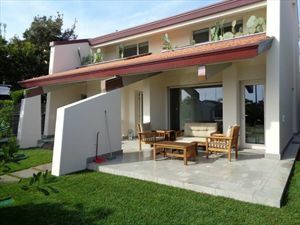 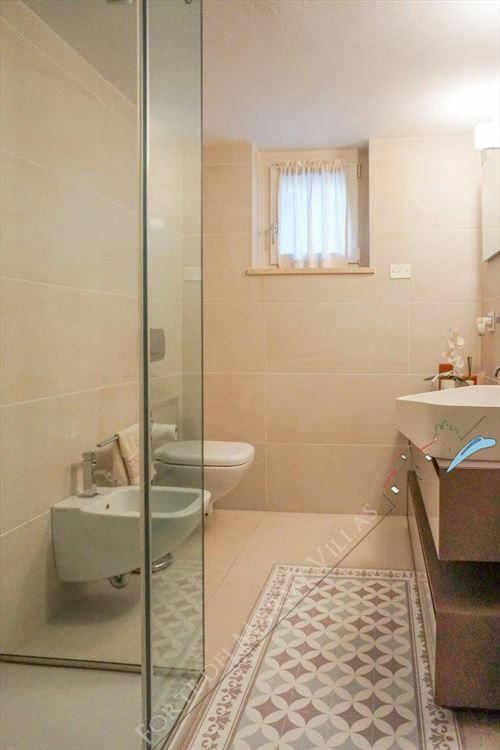 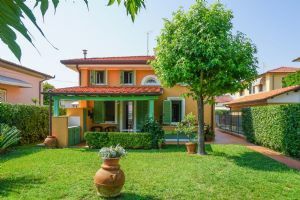 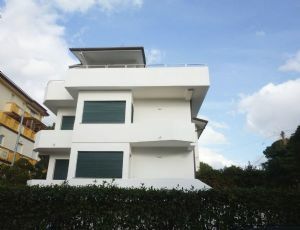 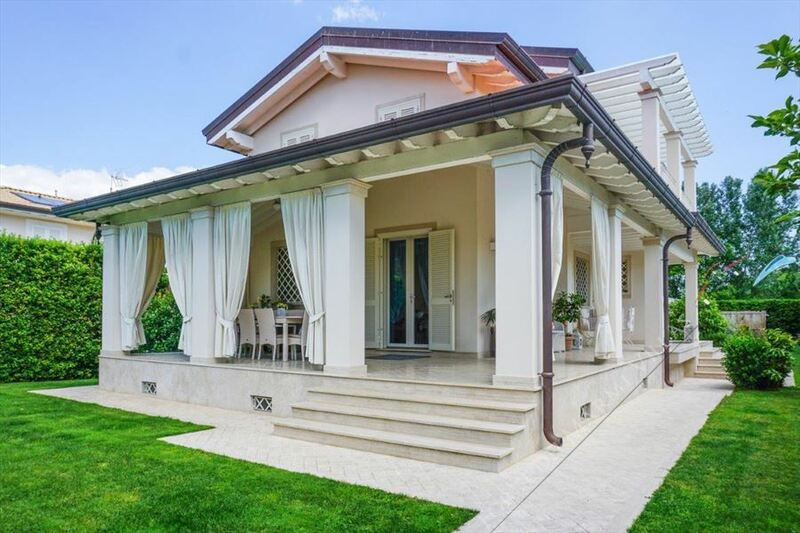 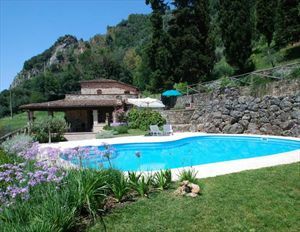 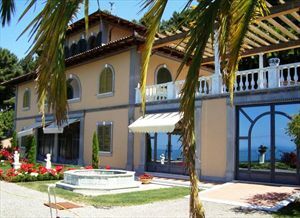 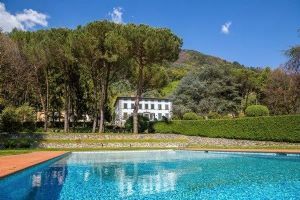 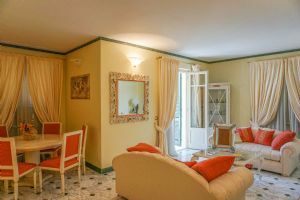 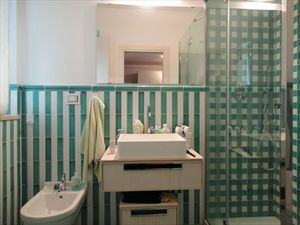 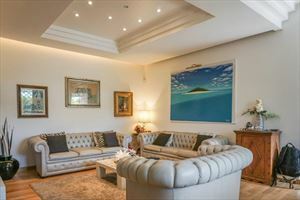 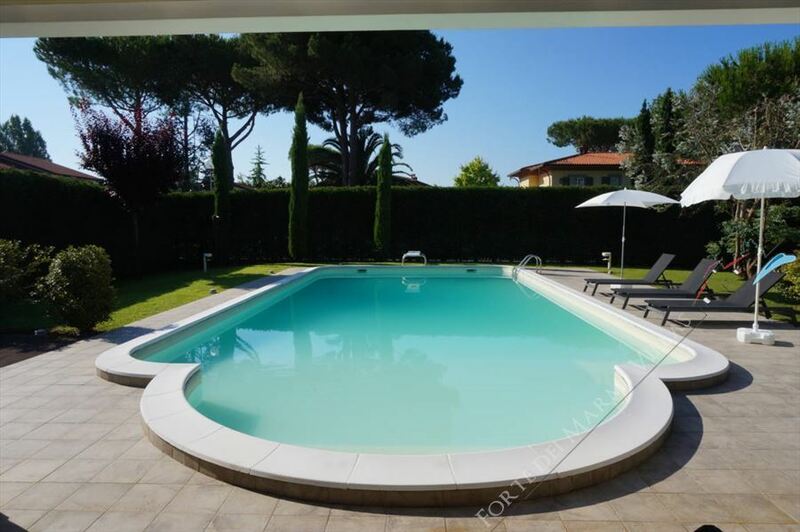 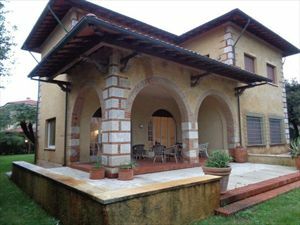 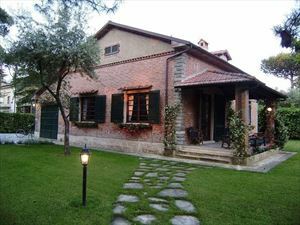 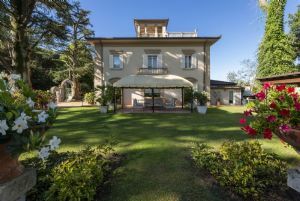 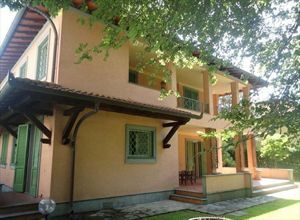 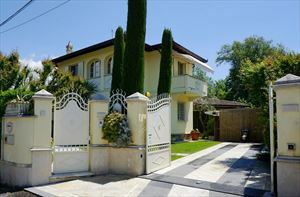 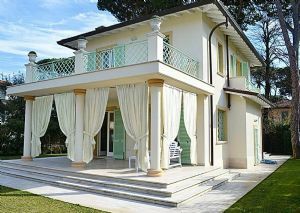 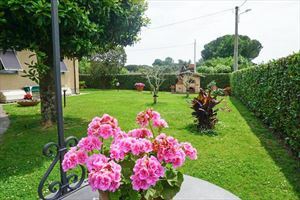 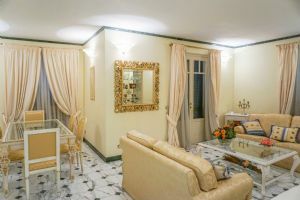 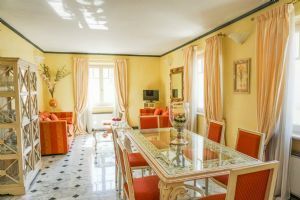 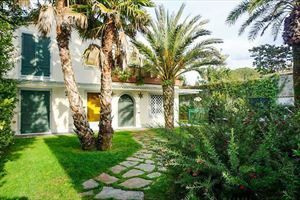 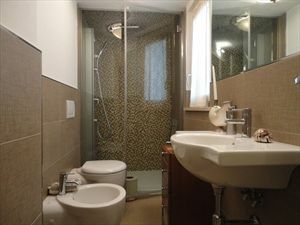 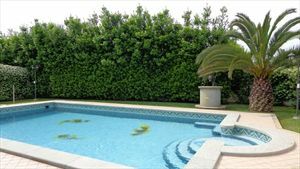 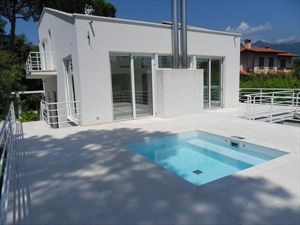 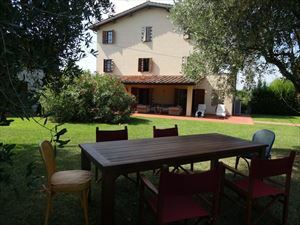 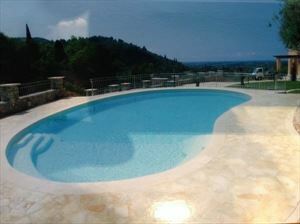 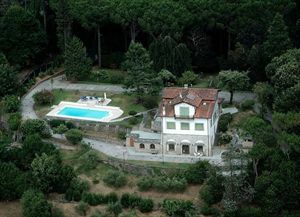 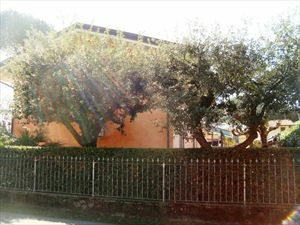 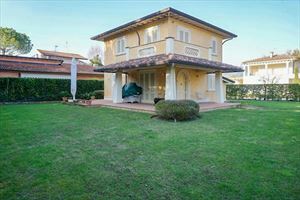 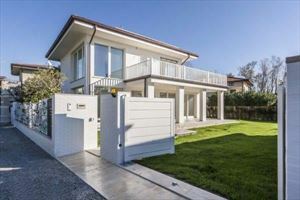 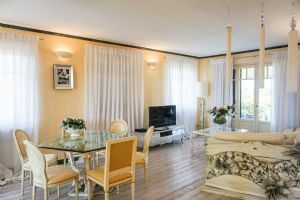 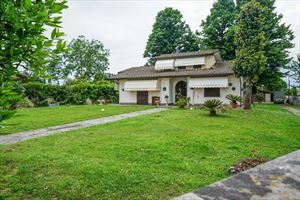 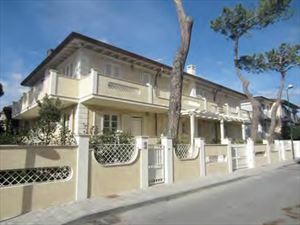 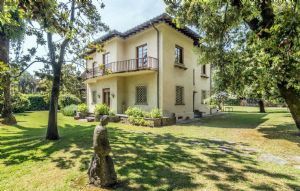 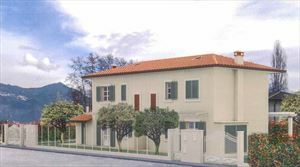 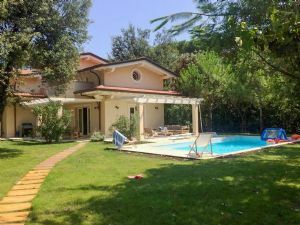 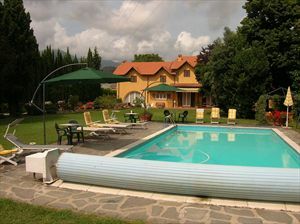 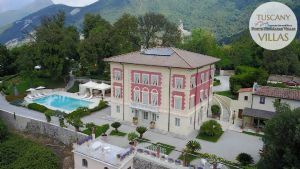 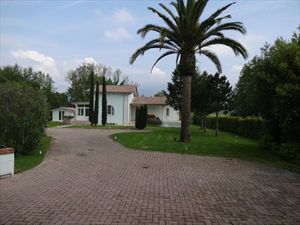 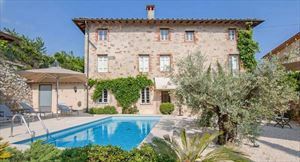 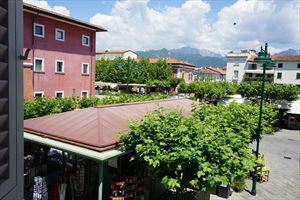 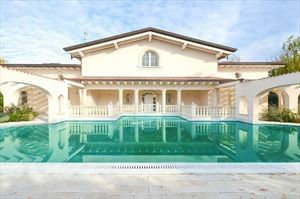 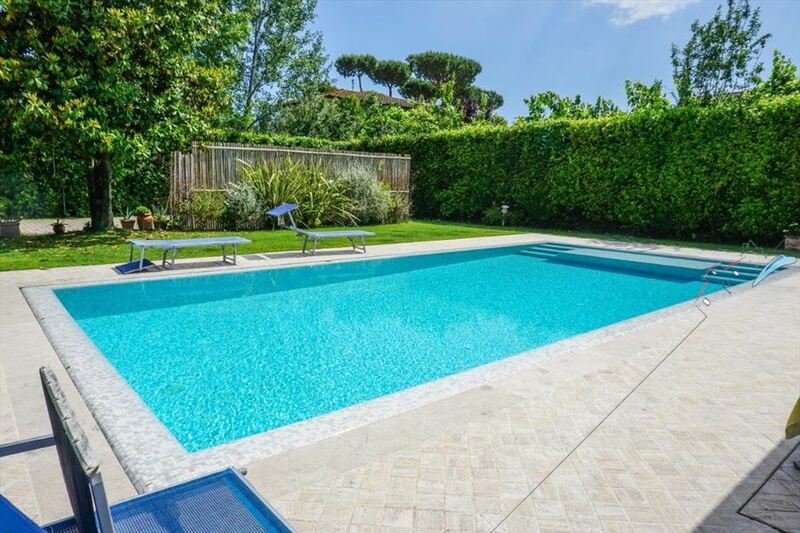 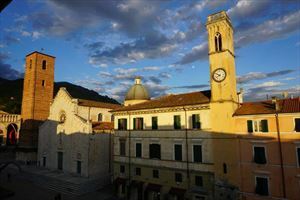 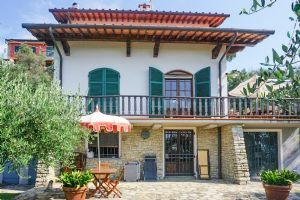 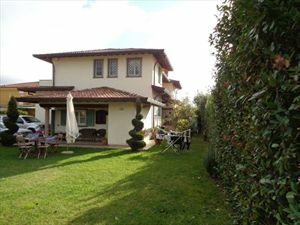 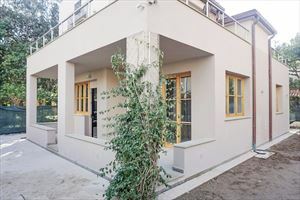 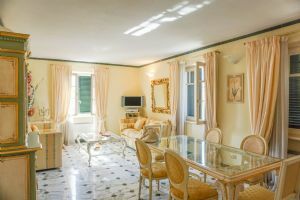 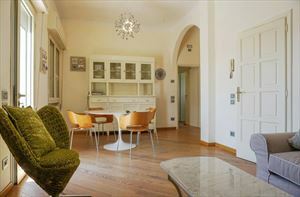 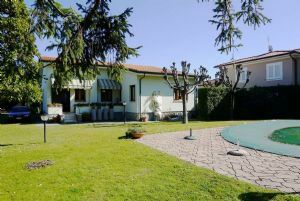 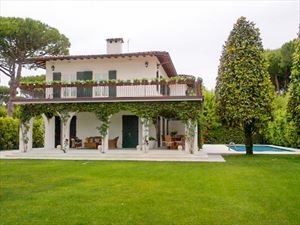 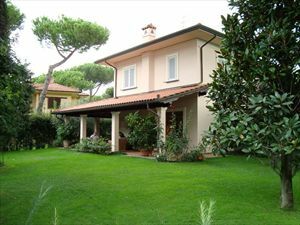 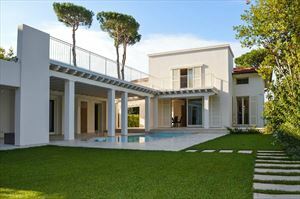 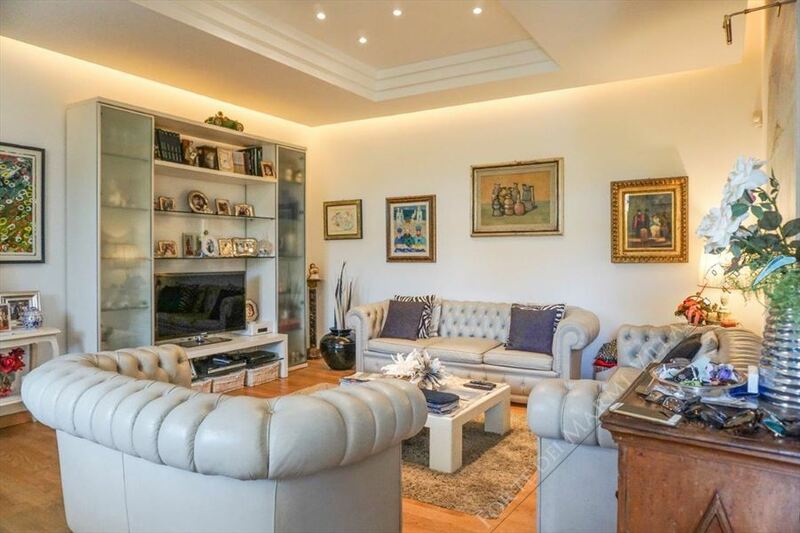 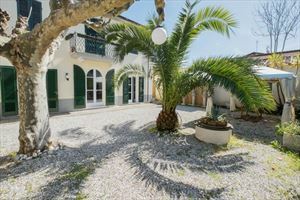 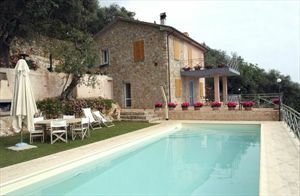 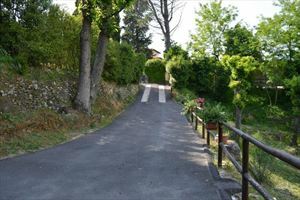 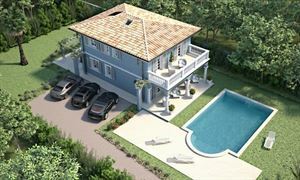 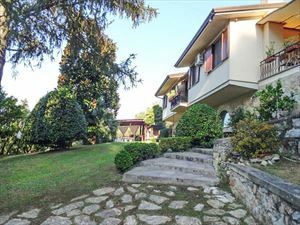 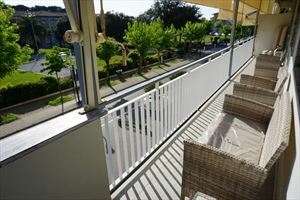 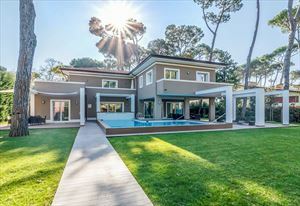 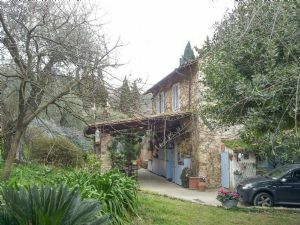 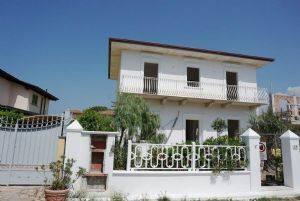 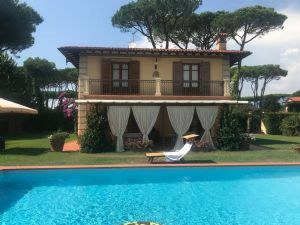 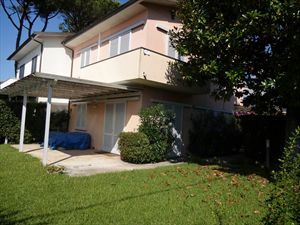 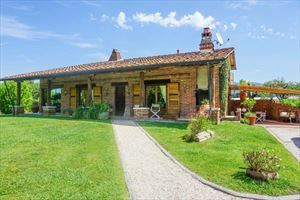 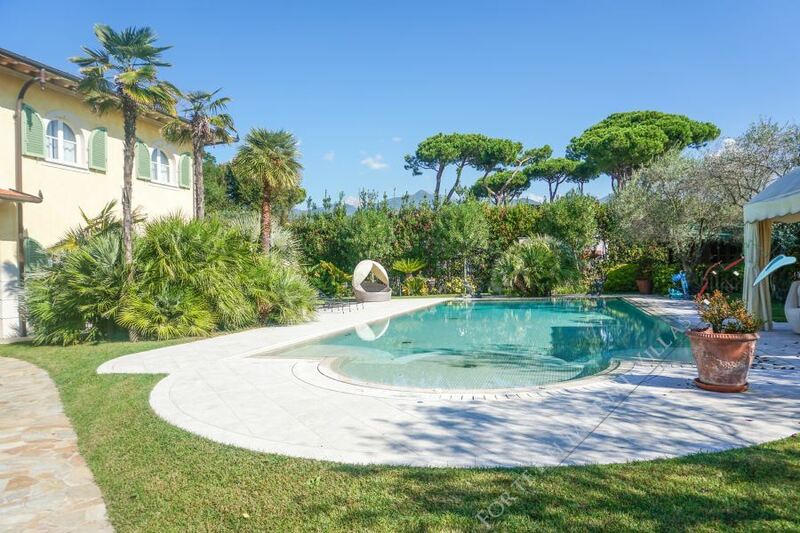 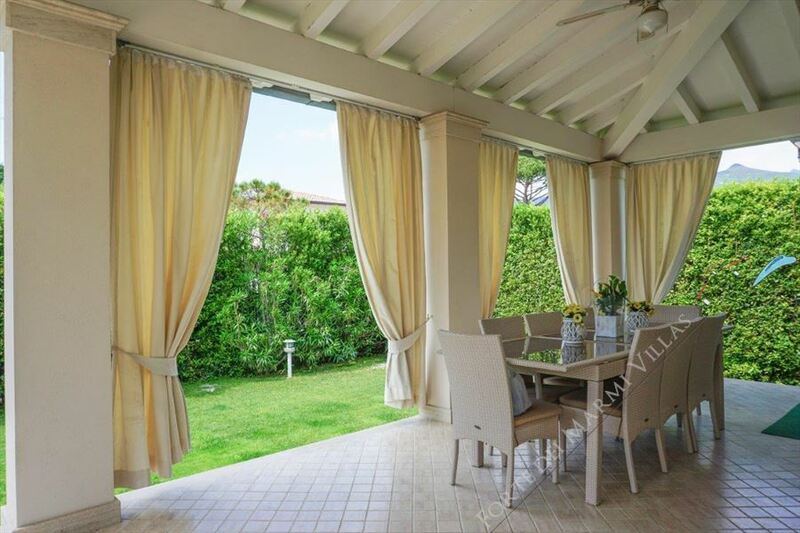 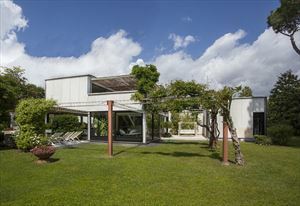 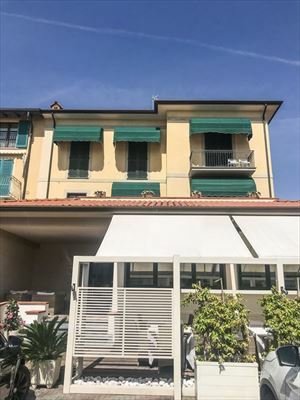 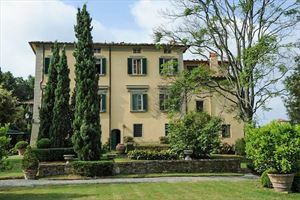 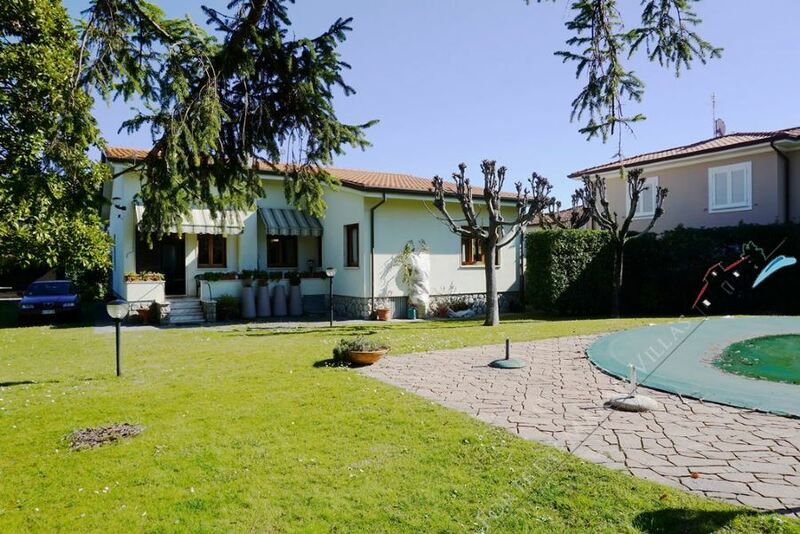 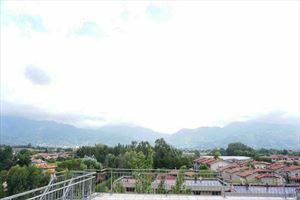 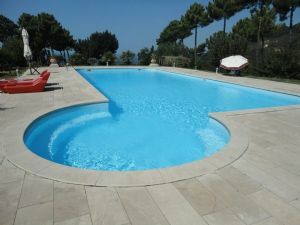 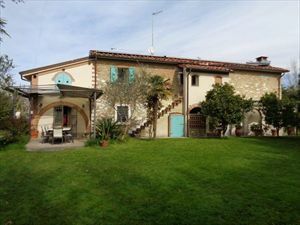 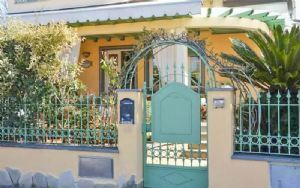 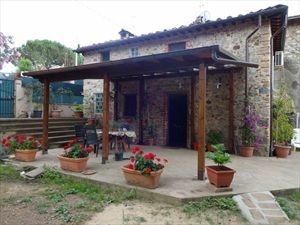 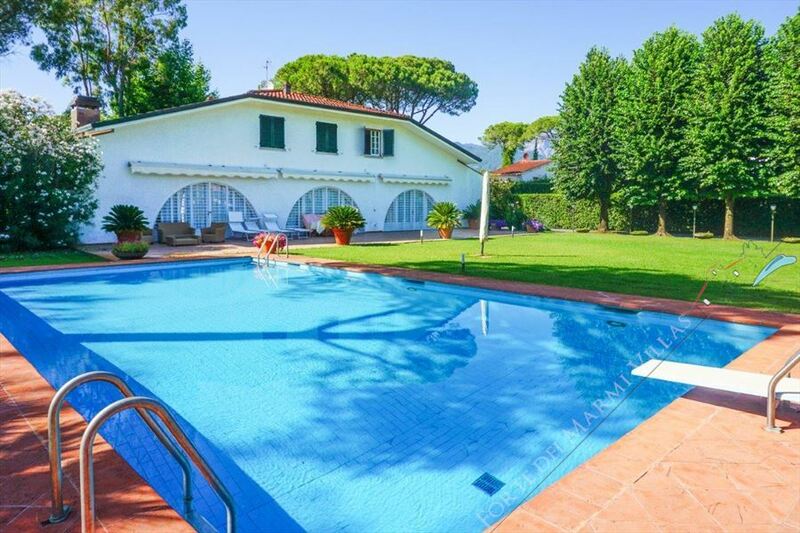 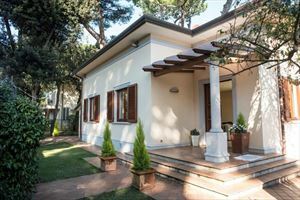 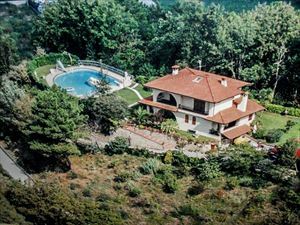 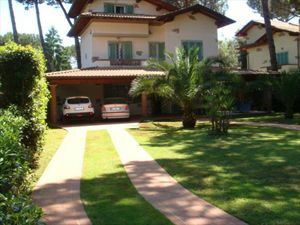 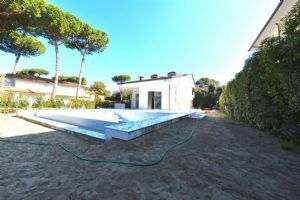 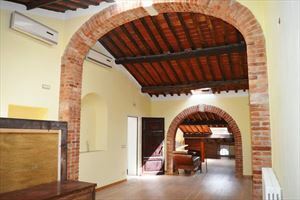 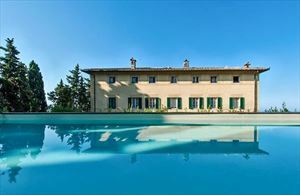 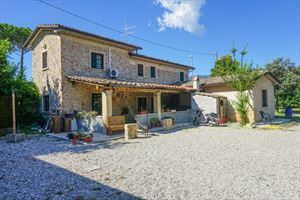 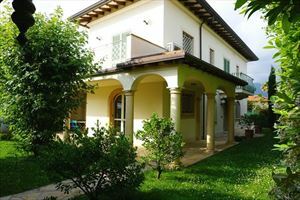 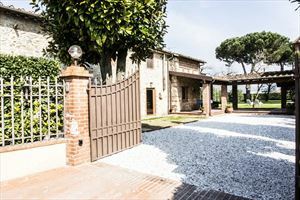 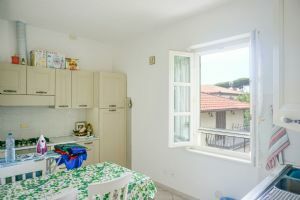 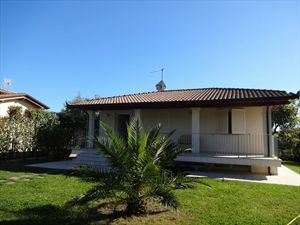 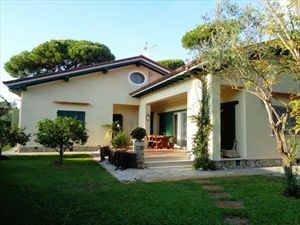 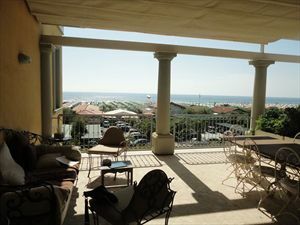 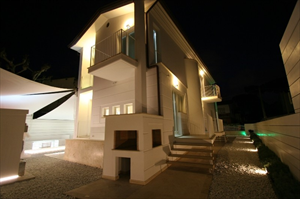 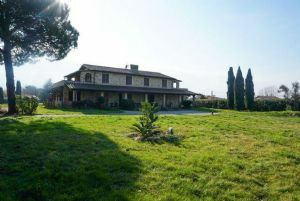 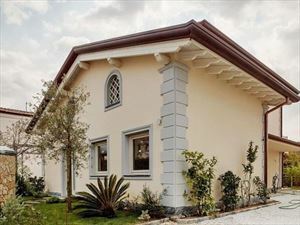 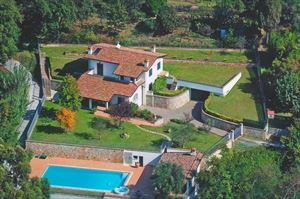 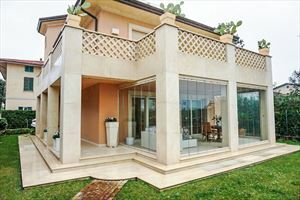 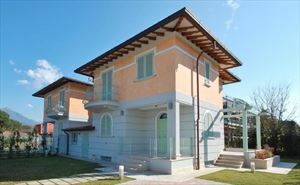 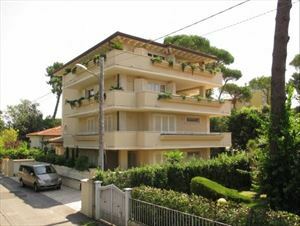 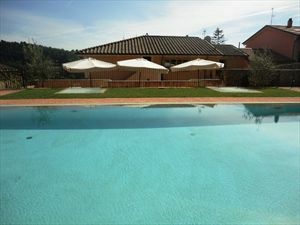 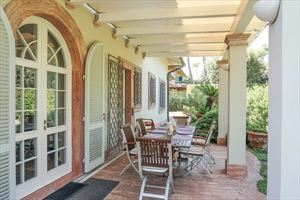 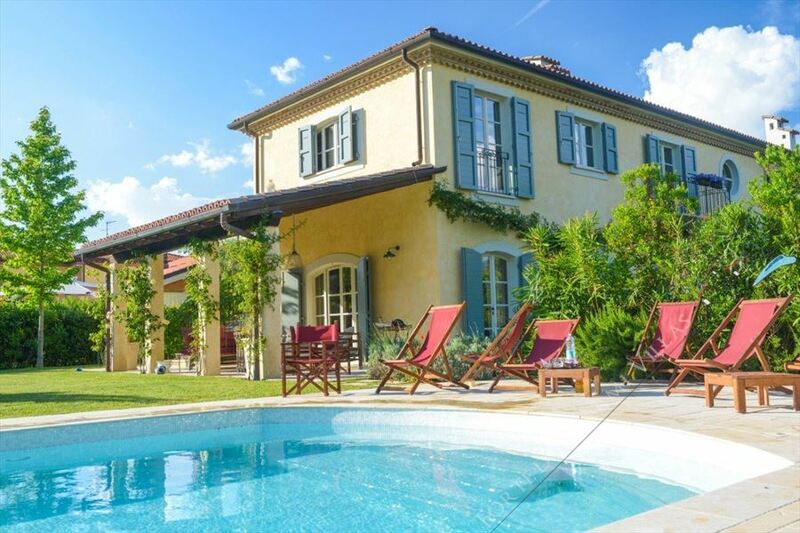 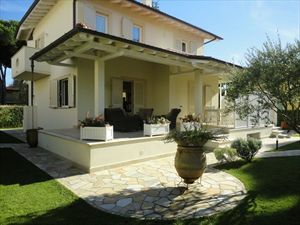 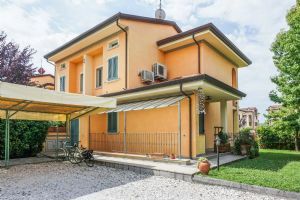 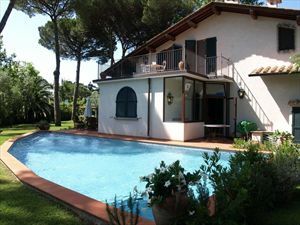 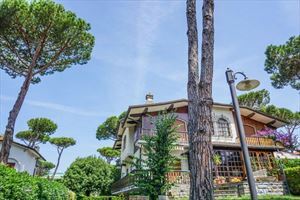 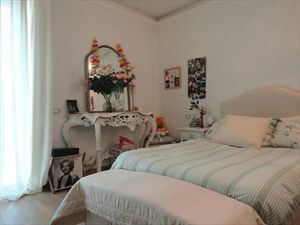 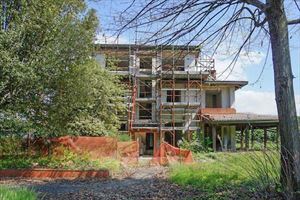 A new, detached villa with swimming pool, located in Forte dei Marmi in a quiet place, 1000 m distant from the see, in the area of Vittoria Apuana. 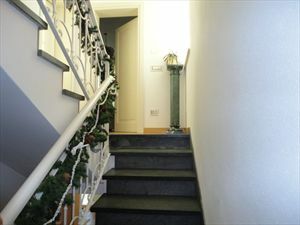 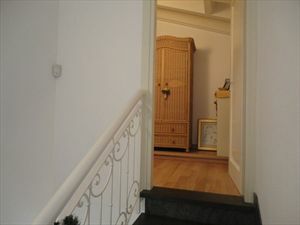 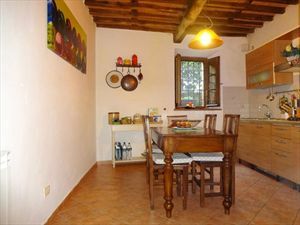 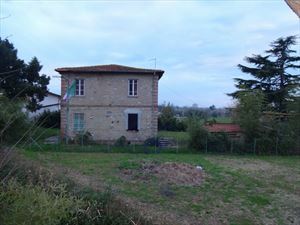 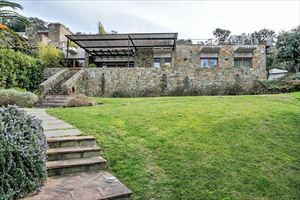 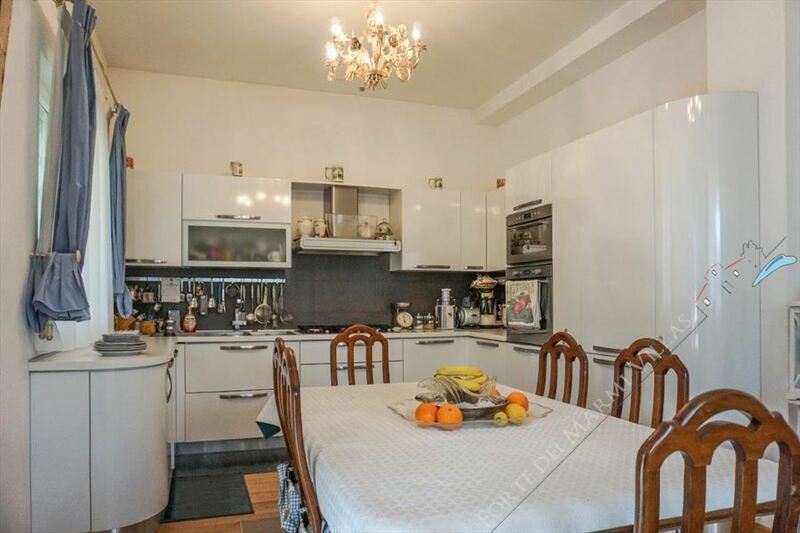 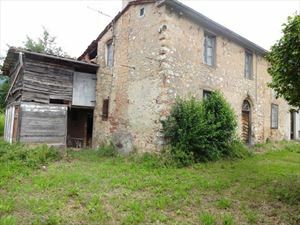 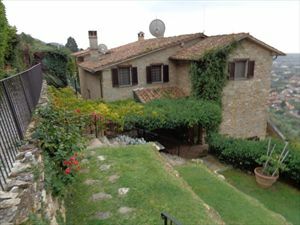 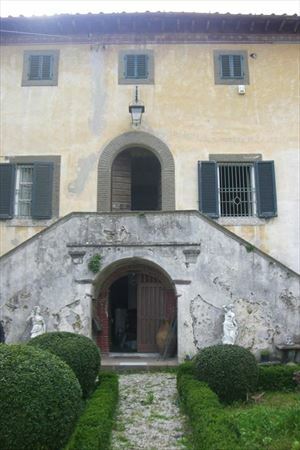 Ground floor: hall, kitchen with separate entrance, single bedroom, bathroom. 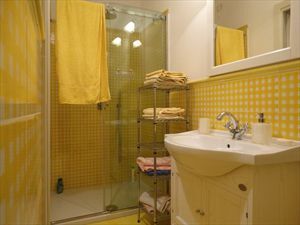 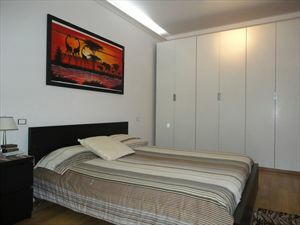 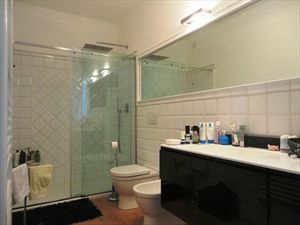 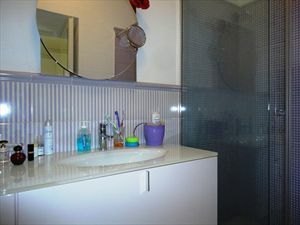 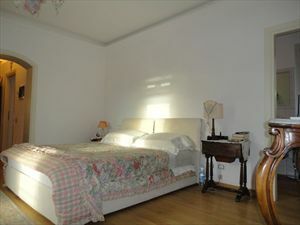 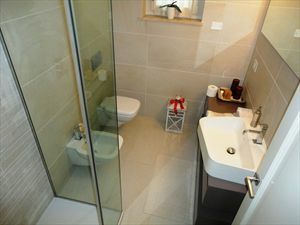 First floor: master room with bathroom and wardrobe, two double bedrooms with bathroom. 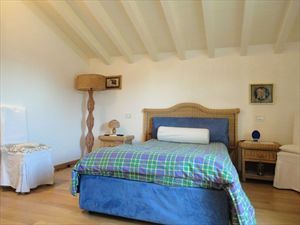 Attic: loft with guest room and bathroom.